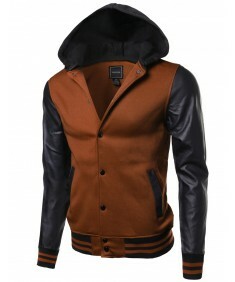 It was very speedy service, the mock turtleneck is very nice, size runs a little small and don't rem..
Men's Refined Faux Leather Pad..
Men's Fine Quality Hood Detach.. 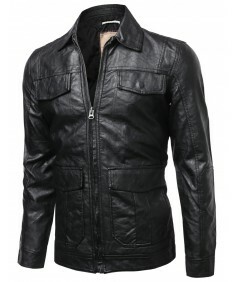 The jacket features smooth herringbone-print and a plush high-pile solid design. In addition, it's r..